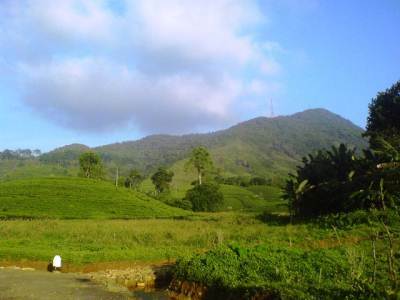 Having its humble beginnings in Wewiyathalawa (Wewaltalawa) where the local TV station ITN has its tower erected, this is a picturesque waterfall that according to folklore has never run dry even in the most unforgiving droughts. 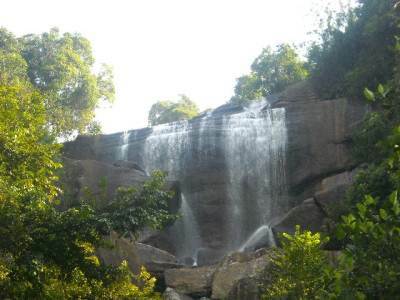 It is said that this water fall derives its name from the resemblance it has to the white ‘Olu flower’. It’s multiple falls look like the white petals of an Olu flower. 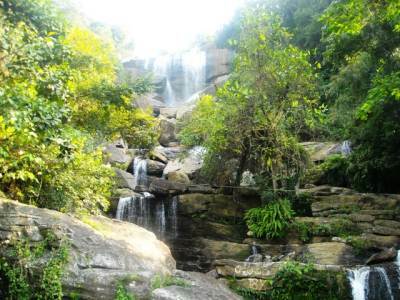 According to the villagers, the waterfall get so engorged with water during the rainy season that they have to cross the bridge made of wooden beams with caution as the fine spray created by the fall creates a total whiteout of the road ahead. According to the villagers they get drenched if they try to cross the bridge on foot during the rainy season but yet do so when they have to.